Finding water can be an essential skill to have. A human can't live more than a few days without water. You must drink plenty of water even if you do not feel thirsty. The importance of water cannot be overstated. Without water our bodies internal functions go haywire and quickly shutdown causing a rather quick death. 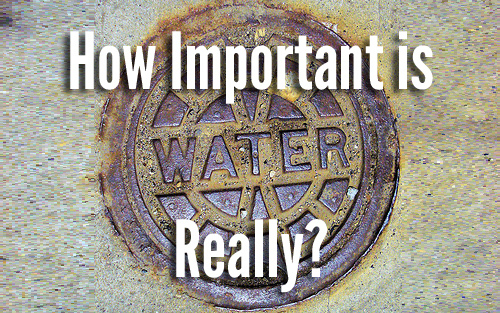 For short- and long-term survival the importance of water cannot be emphasized enough. Stock up on power bars and forget the water and you will find yourself dead with a stomach full of power bars. Without water the body cannot digest its food, especially proteins. Digestion is just one of the many functions of the human body in which water plays a major role. The importance of water becomes critical in humans as we age because the human body naturally retains less water. The body of a forty-year old is made up of 55% water. In desert survival scenarios people often make the mistake of thinking they’re not sweating because their skin is not wet. What is happening is that the sweat is evaporating quicker than it can collect on the skin’s surface. If you rest your hand on your skin for a few moments you will find it dripping with sweat. A lot of water is lost through sweating just sitting in one place doing nothing. Up to two and a half quarts of water every day. In extreme hot weather it’s possible to lose a gallon of water per hour in sweat. Cody Lundin author of, “What To do When All Hell Breaks Loose”, recommends three gallons of water per person per day. If extreme activity is going to be taking place then he advises even more. The need to transport that much water per person per day in hot climates necessitates that one gets themselves in as good as shape as possible for the strain of carrying several gallons of water long distances. 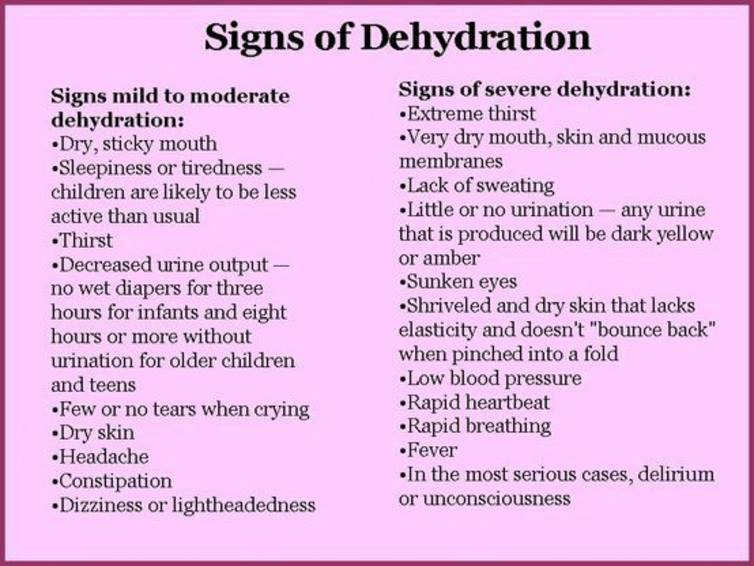 Dehydration is often mistaken being hungry with being dehydrated. So you see you can lose weight and have more energy by drinking more water. This takes a bit of vigilance because we tend not to drink water when we’re not thirsty. We need to remember to drink water when we’re not thirsty. Don’t depend on thirst to tell you when to drink. If you’re thirsty you already need to make up a quart and a half of water in your system. The best way to tell is the color of your urine. You want your urine to look clear as water, no color. If you take vitamin supplements then these will color your pee yellow, especially folic acid (B vitamins). In that case you want to make sure you’re urinating frequently. We address water catchment, purification and storage extensively. We address procuring water as a basic survival skill here. Learn all the methods that you can as you can only live three days without water.